High Rise Residences designed to make the everyday extraordinary. 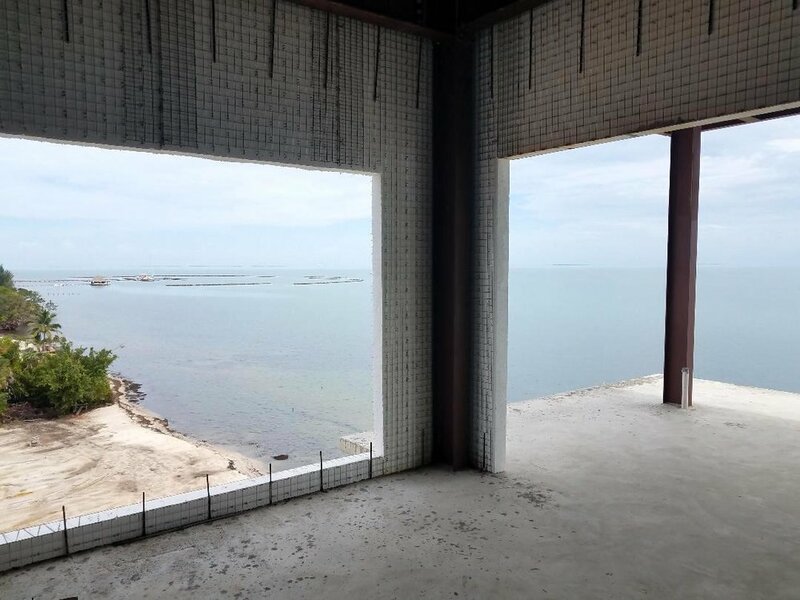 COVE Oceanside Resort & Residences - Along the 16-Mile Peninsula in Placencia, Belize Central America, COVE Oceanside Resort & Residences is an exclusive lifestyle community presently under construction with building-1 of 4. Completion will be January 2020. 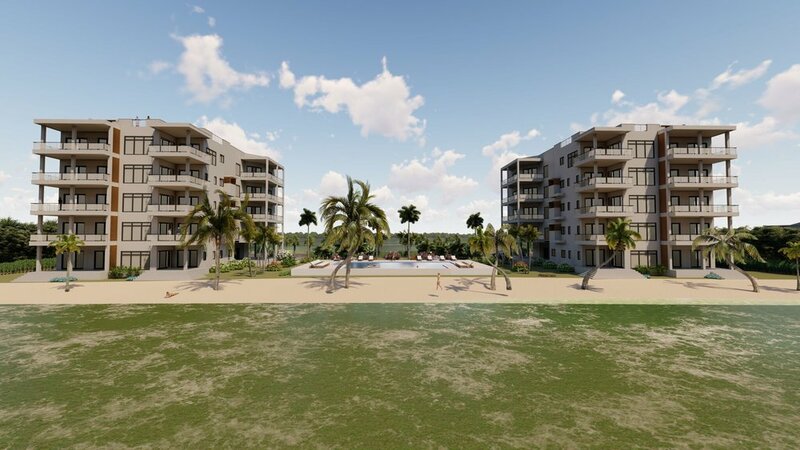 Designed by Placencia Architect Andrea Bacher - ab2architects, features luxury residences in a wide variety of styles with (4) 5- storey buildings and handy amenities of (2) pools, (2) cafés, yoga spa and Caribbean seaside 250' Pier . Defined by a spirit of relaxation and adventure, "COVE Oceanside Resort & Residences" brings an exclusive resort experience to the picturesque Placencia peninsula. An indulgent spa, fully equipped fitness center, four pools, 2 restaurants, luxurious accommodations and breathtaking views elevate the resort beyond paradise. COVE Oceanside Resort & Residences offer the ultimate in luxury with thoughtfully designed 1,2,3 bedroom condos that boast a meticulously curated decor with hand selected natural materials and custom designed furnishings with panoramic views of the Caribbean Sea, the Placencia lagoon and the Maya Mountains. 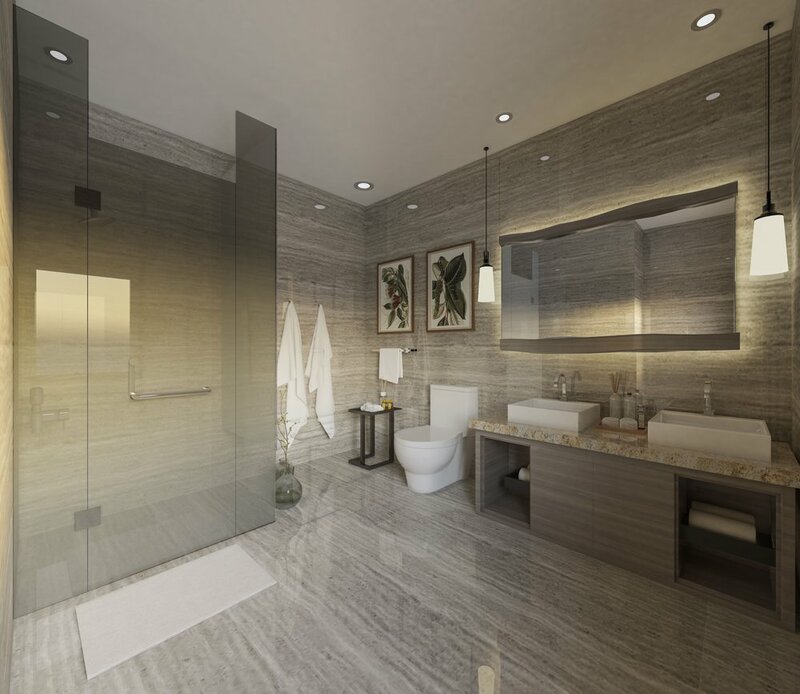 With a fully equipped gourmet kitchen and state of the art appliances, imported porcelain floors throughout and technology enhancements such as 55" smart LED televisions with bluetooth sound systems, YORK high tech AC system, the residences offer the ultimate in luxury space. Furnished terraces overlooking the azure waves of the Caribbean Sea or the tranquil beauty of the Placencia lagoon are ideal venues to unwind and relax. The master bedroom , itself a tranquil haven with pillow top mattress and impeccable furniture and accessories, is complimented by the master bath with the glass enclosed rain forest shower, double stone vanities and amenities that ensure pampered beyond expectation. 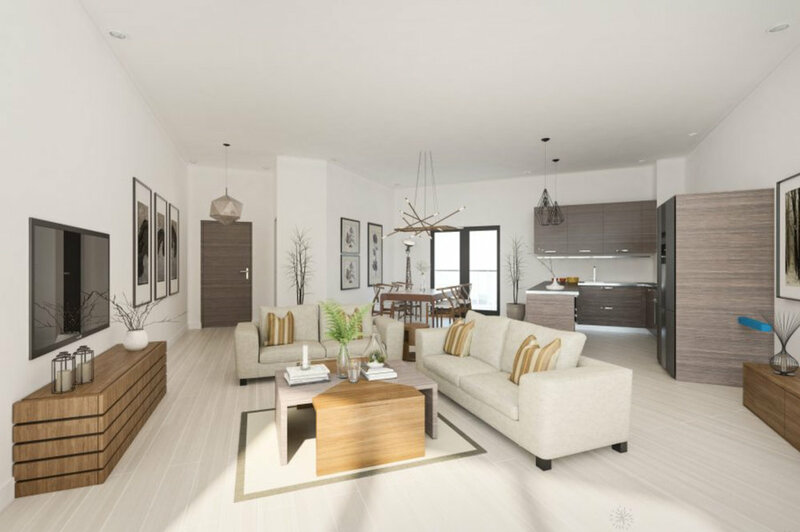 The 3 bedroom penthouses are the epitome of luxury and space. Walk into a grand foyer and relax beneath vaulted ceilings. With upgraded amenities throughout , impeccable attention to detail and unparalleled vistas of the Caribbean Sea, the penthouses set the stage for a truly elevated lifestyle...... "Are you with us"? The developer looks forward to your feedback in order to perfect this very special project. Completion/move in date for Phase 1 (Building-1 and Swimming Pool-1) will be July' 2019. 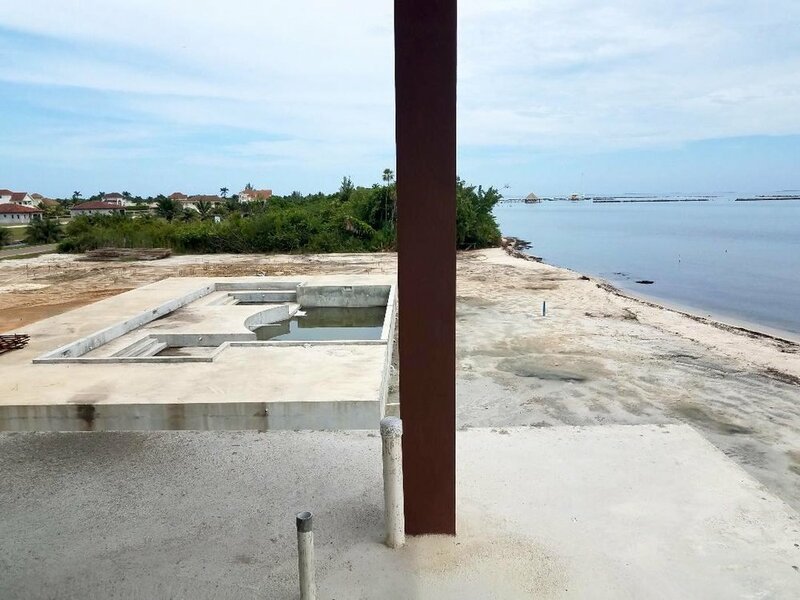 Building-2 pilings where completed in March 2018. 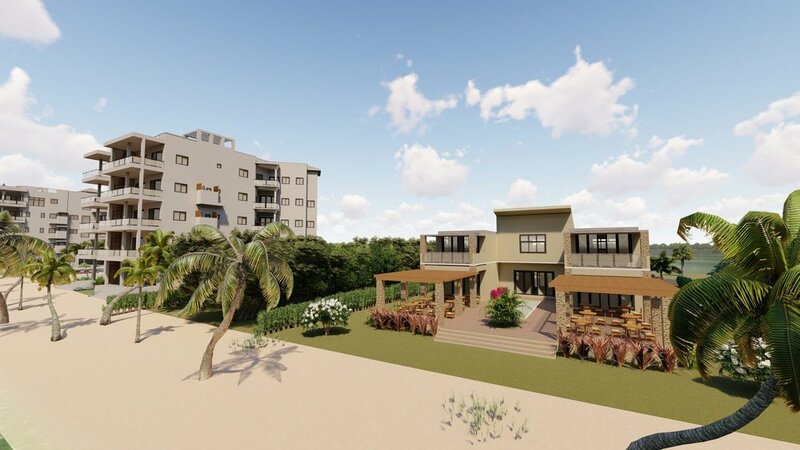 The developer plans to give Placencia peninsula a development in which we can all be proud of. "The time has come"
This project has full funding in place and requires no pre construction scheduled payments from buyers as most other similar development projects. High quality construction and very high end furnishings throughout. "fully furnished units". Located in a high value real estate community. Consistent property value increases. 765 feet of beautiful Caribbean seafront with Main Lagoon & Maya Mountain views. 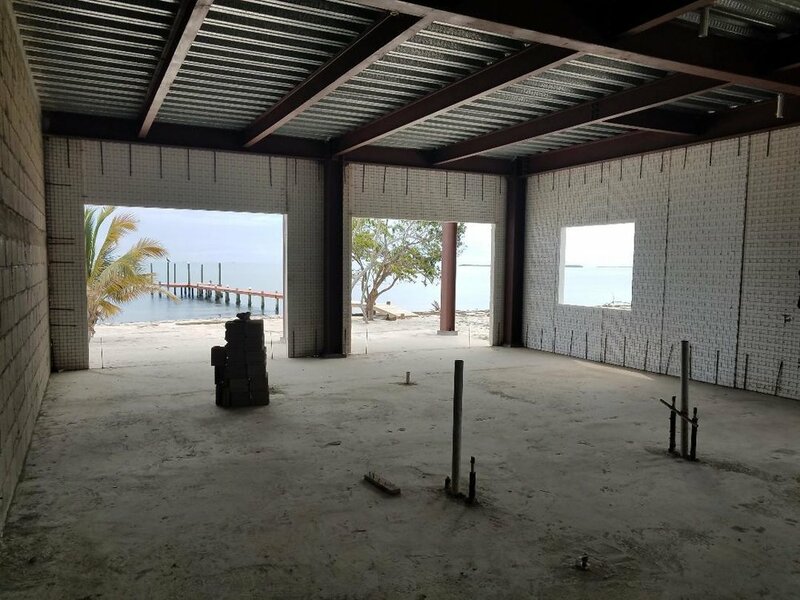 Many decades of construction & development experience and many successful projects by developer in USA/Belize. A.) Cash Buyer: Will have unlimited use of unit and have the options to enter into a rental program (50%/50% net profit split) with COVE Management Company if desired or can just live in unit which would require them to pay utilities monthly. B.) Terms Available/Owner Financing: 50% Downpayment, 3% Interest Rate, 5 Years - Under this program, owner has the option to enter into a rental program (50%/50% net profit split) with COVE Management Company if desired or can live in unit which would require them to pay utilities monthly. Note: All buyers under either above option not living in unit will have (3 Weeks/year) for their vacation or visit dates. Advanced booking required for date selections. C.) Deposits: Starting January 1’ 2019. Prices include fully furnished units: Those choosing unfurnished units will have a $35,000 US reduction on prices - 1BR & 2BR units only. PRE CONSTRUCTION RESERVED UNITS: $5,000 US "non-refundable" deposit required to reserve a unit. Buyer has the option to change to another unit "if available" at that time. Once unit is fully furnished and walk through completed (July’ 2019), purchase agreement will be required within 14 working days. More than just a luxury Condominium Complex. COVE Oceanside Resort & Residences is more than just a beachfront condo complex – it's a neighborhood, and any good neighborhood comes with amenities for the locals. As we build COVE Oceanside Resort & Residences, we handpicked these fine establishments to join our community. A quaint small village with a wonderful beach and approximately 1,500 people. This is truly a unique village with all the amenities such as grocery stores, banks, restaurants and bars. Placencia village offers the best beach on the 16 mile peninsula. An ideal place for a nice walk and to have a good time day or night. This long time fishing village has fast become popular amongst tourist with a growing rate each year. 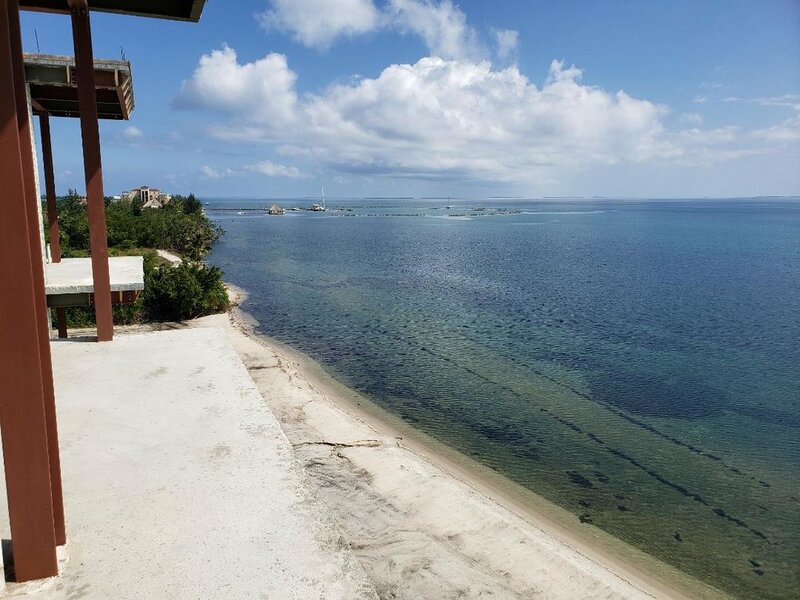 Note only does this village and 16 Mile peninsula offer wonderful beaches, it also has a stunning large lagoon on the rear of the peninsula with sunset back drops of the Maya Mountains close by on the mainland. "Such a cool place". We invite you to see for yourself! With approximately 360,000 people within a truly Caribbean & Central America paradise, Belize is quickly becoming one of newest and best places in the world to invest in real estate. With its wonderful sea life, rainforest, 2nd largest living barrier reef in the world, the only country in Central America with English as its official language, its close proximity to the USA with many direct flights, its weather, its stable currency ($1 US = $2 BZ), its stable government, its British Common Law System, and of course its wonderful people etc. etc. etc. 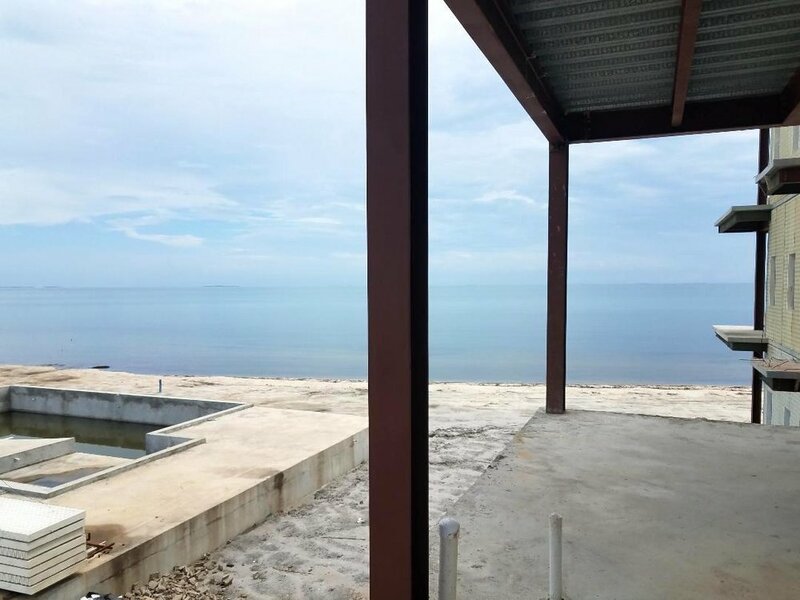 "it is quite obvious why Belize if such a great choice to invest in real estate". 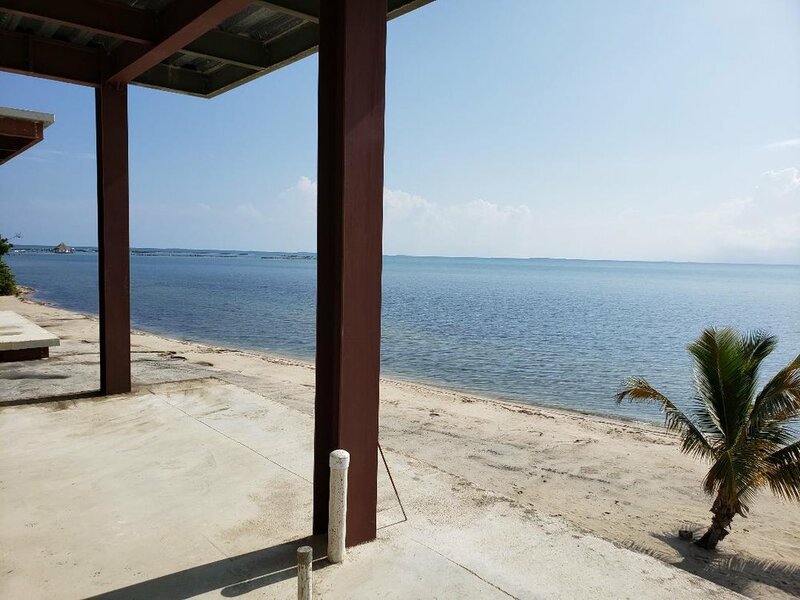 Frigate Caye is truly a remarkable private 1 Acres Island owned by COVE Oceanside Resort & Residences. Located approximately 7 miles east of Placencia Village which is only a 15 minute boat ride, A must stop in spot for complete relaxation. 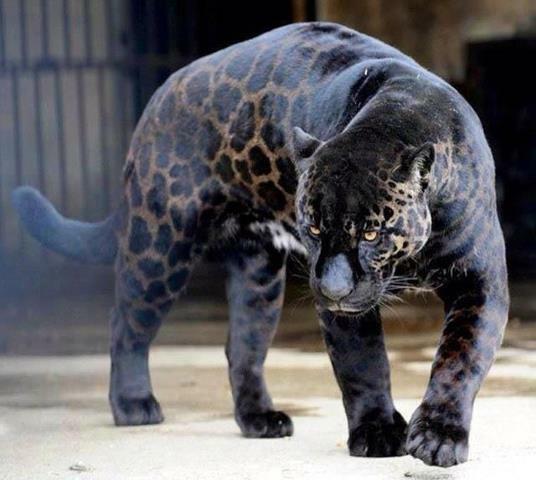 Belize not only has 1,000 feet waterfalls but packs many exotic animals, birds, flora & fauna and exotic trees within it's stunning and magnificent tropical rainforest. Another must see!